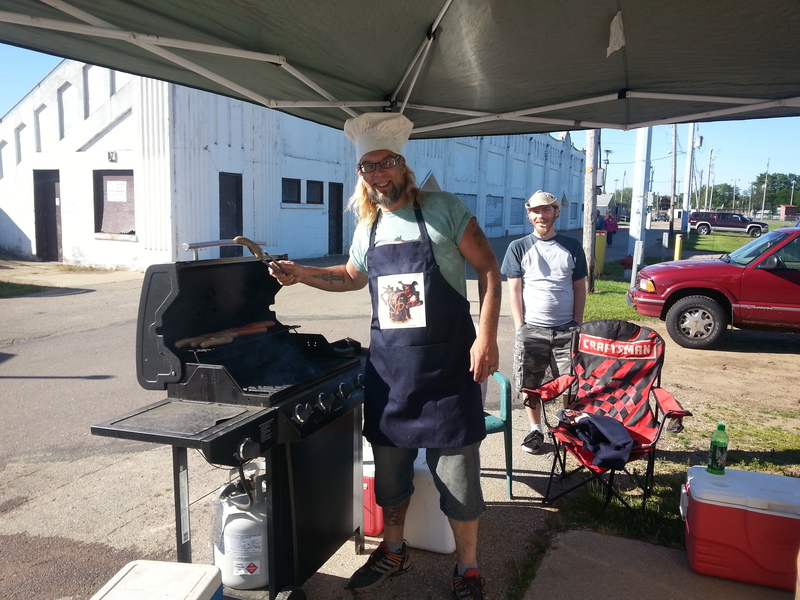 Portage Annual City Flea Market & Craft Show cooking up with the PFSP. 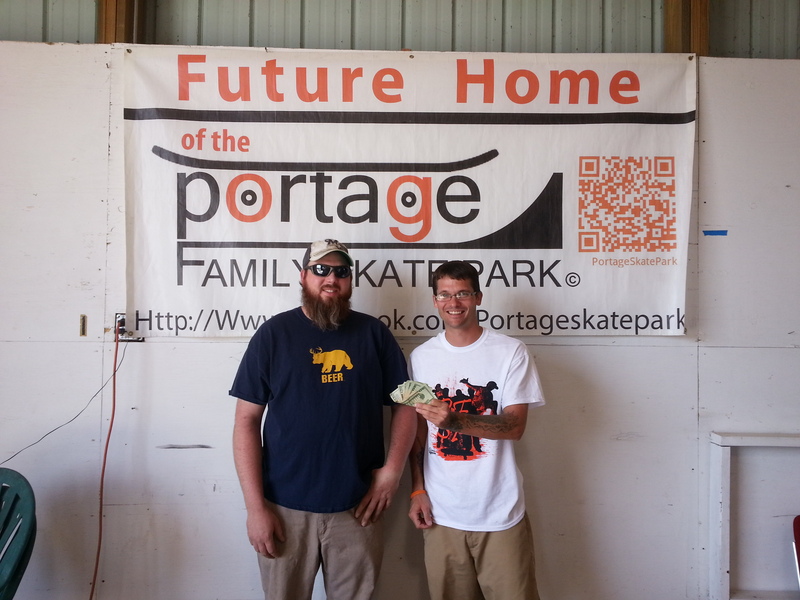 Portage Annual City Flea Market & Craft Show Thanks Portage Family Skateboard Park organization for feeding us venders! We appreciate all your efforts! We are so glad you had a productive fund raiser! See you next time? Kyle Little We had a ton of fun and being able to engage the community was very fulfilling. Being able to inform and educate our community about the project is truly an honor. Please look for our press release on our webpage portageskatepark.org to see how successful it was. That is a BIG yes to next year. Some people and business’s that we would like to thank. https://www.facebook.com/portageparknrec specifically Dan S. Kremer & Leslie Hawkinson of the Portage Parks and Recreation Department for sponsoring our brat hut and the invitation this year. Without the invite we wouldn’t have come that much closer to our goal of $90,000 by the end of summer 2014. During this years event we raised over $600 for the #PFSP project. We would also like to thank Northwoods, KwikTrip, Walmart, Prairie Flower Beads Portage and Rita Briant for the kind donations of product and gift cards that helped us prepare for such an event. I would also like to feature one special citizen that approached our booth and literally emptied his wallet and said to President Kyle Little of the @portagesk8park we believe in you and the project so does this community keep up the good work. For this the #PFSP is grateful. People on Saturday getting some deals. Andrew always has a smile on. My mom at 6am not so happy lol..
First Sale of the day. Community is what we got. Jen McCoy reports on the Flea Market.